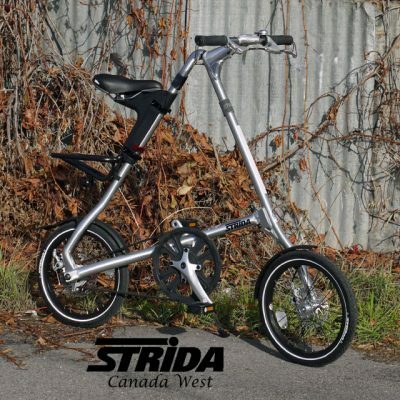 The Strida 5.0 is a single speed Strida Folding bike. The Strida 5.0 includes several upgrades from the Strida model Lt. The upgrades include a quick release seat mount. 16 inch metal spoke wheels, an alloy rear rack and a more comfortable saddle. 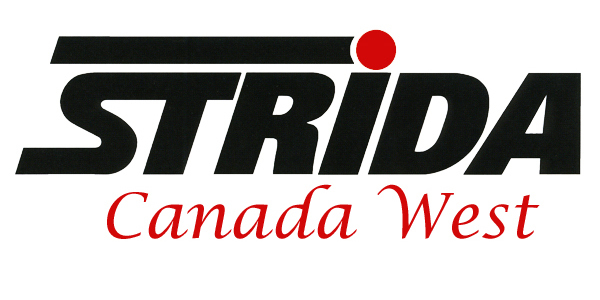 All Strida Canada Strida bikes includes a kickstand. Strida Fans can order an upgrade for the Strida 5.0 to make it a Strida SX Model. The upgrade replaces the 16 inch fenders and wheels with 18 inch.